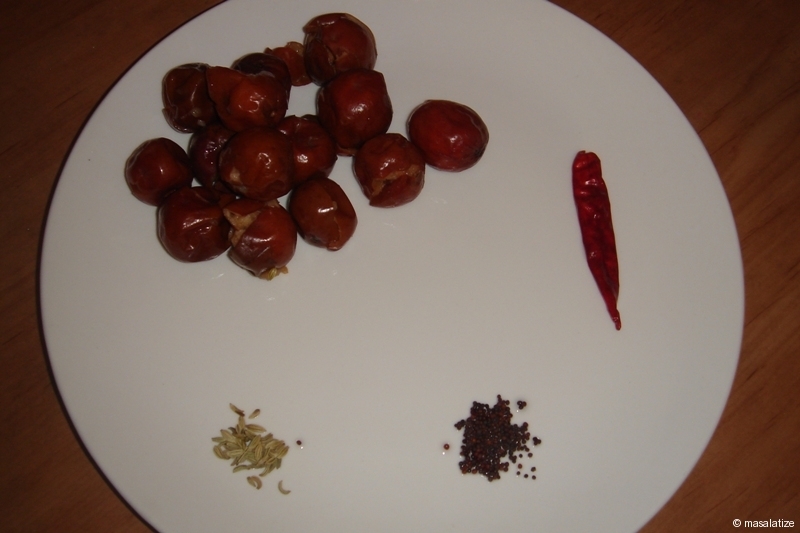 The red dried topa kul available around the time of Saraswati Puja in India is used to make chutney. 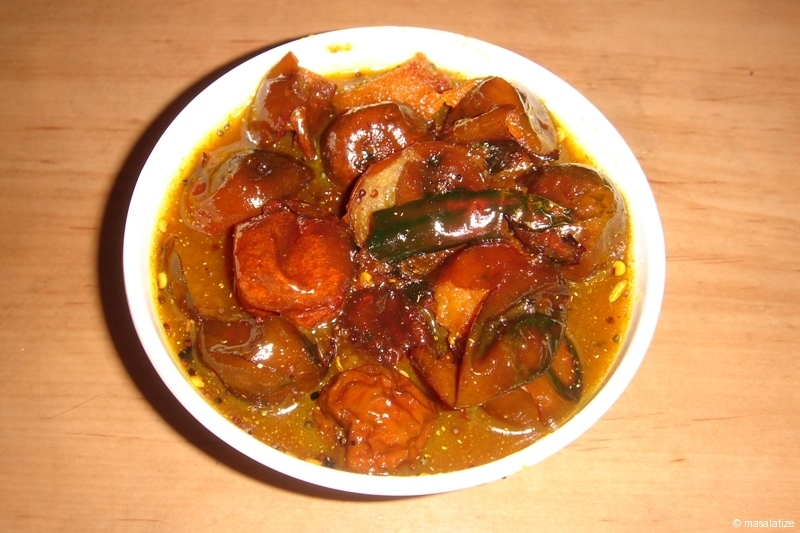 It is one of my favourite recipes in chutney. It reminds me the day of Saraswati Puja in school days. 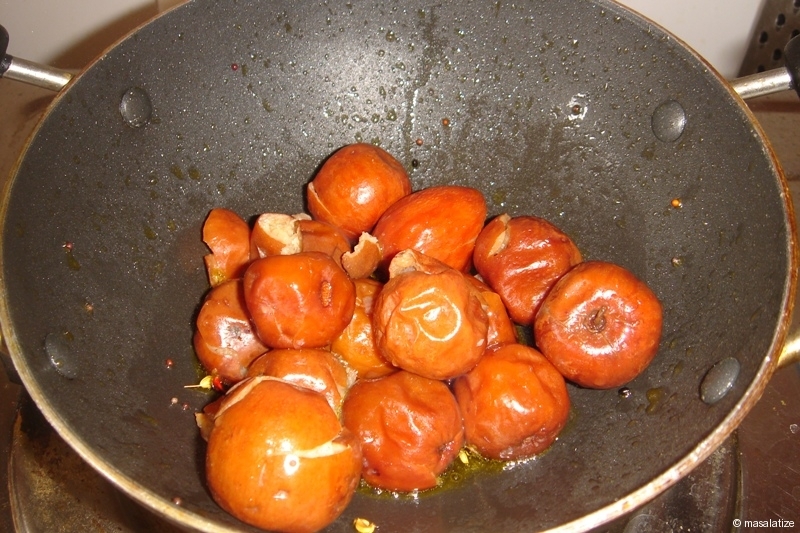 Typically dried Kul is used to make this chutney. Take good pieces of kul and break it, otherwise it will burst. 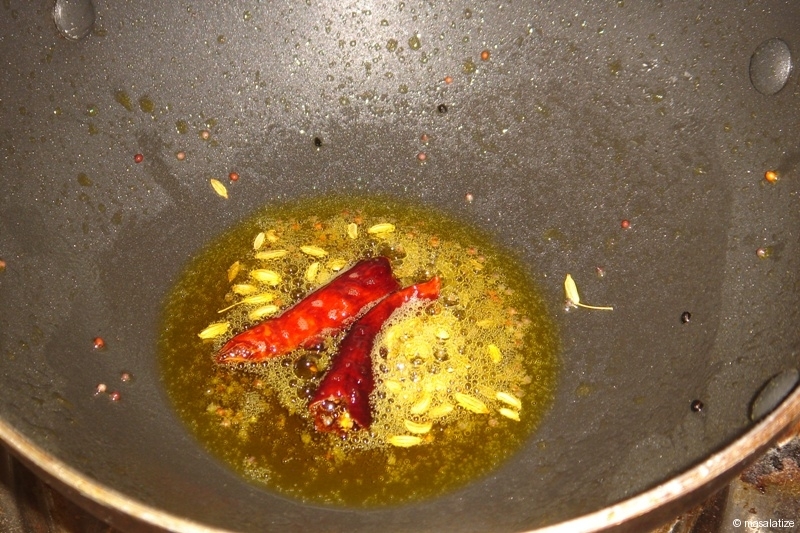 Heat oil in kadai then add dried red chilly with mauri and mustard seeds. Let it crackle. Then put kul and stir it . Put salt and turmeric powder. Stir occasionally. Then cover the lid for 2-3 mins to make it tender. Add water as required and lastly spread sugar. Cover the lid for 5-10 mins. Cool and serve as dessert.